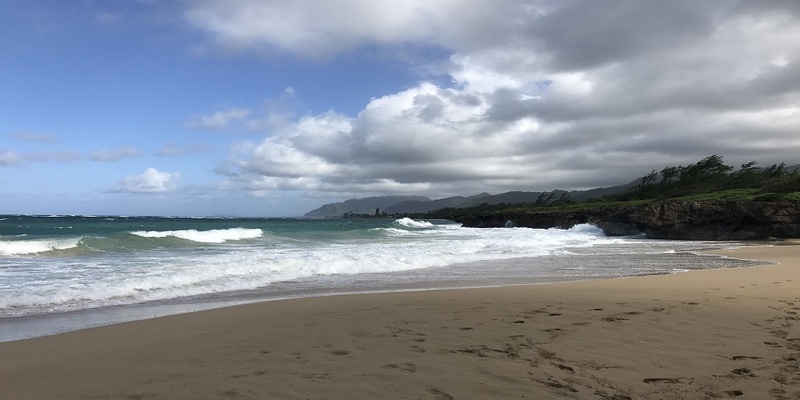 Living on the island of Oahu, issues with water cleanliness are more important than ever. There are few lakes and rivers on-island that have water clean enough for drinking, and none that can fully support the ever-growing population of Oahu. We can’t import all our water, either: the cost would be too prohibitive and the sheer volume would be nearly impossible. The only practical choice for gathering water is to look below-ground. On Oahu, the high mountains trap clouds and allow for precipitation (without these mountains, Oahu wouldn’t get enough rain to support the abundance of life it does now). While much of the water that falls is consumed by plants or discharged into the sea, some of the water percolates through the soil and basalt rock and ends up as part of the freshwater lens. The freshwater lens is an area of clean water below the island that sits on top of the salty ocean due to density differences. This freshwater lens contains a huge amount of water, and is some of the purest around, but it is a limited supply. There has been a history of over pumping this water source for use in agriculture, which happened due to a lack of regulation. Nowadays, food is not grown on-island as much as it once was, and water is generally used instead for domestic purposes. Water from the freshwater lens is pumped through a vast array of tunnels and pipes to the tap, where it is available for everyone to use. Despite the huge area the freshwater lens covers, water is still a precious, finite resource (much like propane or natural gas). There is a limit to how many people it can provide for, and using too much of it could prove detrimental in the future. When people leave the sink running or don’t fix leaky pipes, they are wasting this resource. When people take 30-minute showers or take baths daily, they are wasting this resource. We will eventually come to the end of the freshwater lens. And what then? Although the lens will eventually recharge, it will take years, and water may never be as abundant as it once was. We will have to turn to surface water for drinking. But currently, many of our sources of surface water are polluted (the Ala Wai canal being a prime example). We need to clean up these areas, save our precious water, and provide for the future. Editor's Note: Veronica Cunitz is an inaugural EarthEcho Water Challenge Ambassador, a group of young leaders working to engage their communities in water quality monitoring and conservation efforts while increasing their knowledge of water science and gaining skills to expand their work in this field. The EarthEcho Water Challenge Ambassadors is an initiative coordinated by EarthEcho International’s Youth Leadership Council and sponsored by Xylem Watermark.